You've just found a better way to get notified on your android, and that's with NotifierPro (Heads-up) app. The app has a slick, intuitive UI, and is pretty easy to use. The app is still missing a feature in the new UI (v11.4) that old UI had and that's the setting to show notification below Taskbar. I don't like how it overlaps the task bar. I also don't use the new lockscreen feature. So in my case I lost a feature. 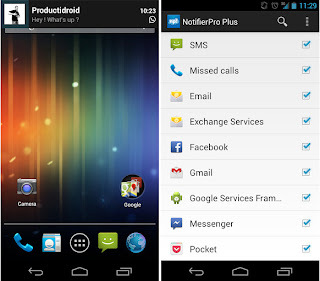 - NotifierPro completes your notification bar with non-intrusive heads up notification banners. - You can swipe the notification to the right to dismiss it, to the left to dismiss all notifications, or click it to launch it. 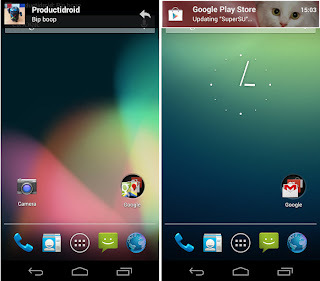 - Numerous themes are available.